Pastor Davidson Ambris has left an indelible mark on his parishioners and the many villages where he ministered the Word of God in his unique style. Not only was he an effective, down-to-earth practical preacher, but he was also a tireless farmer. 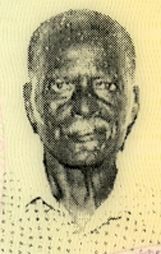 He worked with the St Vincent Banana Growers Association as a âgraderâ from which he derived the name “First-handâ. This devoted Christian was a principled, uncompromising, Holy Ghost filled, faithful Pastor, Father, Brother and friend. His wise council and practical advice will live on in the lives of many. He was destined to serve God with zeal, passion and commitment. Pastor Ambris was one of twenty-five young men and women who were baptized and joined fellowship with the Diamond New Testament Church of God in a historical revival under the leadership of Evangelist Sister Questelles. He married Eileen Pearlina Benn (now deceased) on 11th August 1963 and thirteen children were produced from that union. When Pastor Sarah Butler migrated to Curacao in 1963, Davidson Ambris was promoted to the rank of Pastor of the young congregation. Bishop Urel Williams and other members of the local church remember Pastor Ambris as a vibrant Pastor with the zeal of the Holy Ghost and that he believed in praying and fasting. In fact, he described him as very brief in his message delivery, but that his sermons were always to the point and full of spiritual substance. Others also described him as a straightforward, uncompromising, faithful servant of God whose short sermons were sweet and full of spiritual nuggets. Pastor Ambris truly displayed an uncompromising attitude, steadfastness in what he stood for and his willingness to use the Bible as his only guide and measuring rod. He literally frowned on Pastors going to Bible School, poking fun at it sometimes for he believed with all his heart that total reliance on the Holy Spirit was all that really matters. Pastor Ambrisâ zeal, energy and faithfulness is also recounted by his daughter Annette, who remembers that “rain or shine did not stop him from leaving for church, no matter the downpour, and that he would awake them from their sleep for devotion, as he was uncompromising and seemingly tough on the things pertaining to God.â Brother Felix Jack remembers him zealously proclaiming that “my business is to put the devil out of business!â Pastor Davidson Ambris was indeed a man on a mission! This faithful and devoted Servant of God was dearly loved by the brethren of the Georgetown and Chester Cottage New Testament Church of God where he served. Several of those members continued to visit with him up to his dying days, while scores of community members constantly kept vigil at his house. It was not strange in his days of pastoring that persons would become convicted of their need to surrender their lives to the Lord even before services began. Members of his congregations recalled that during his era there was an absence of idle talks in churches, and that those who arrived first (earliest) would place themselves at the altar or stayed in their seats praying, worshipping and singing praises to the Almighty God. It was the time when brethren looked out for each other, which caused the church to grow and flourish. prayer/psalm which he shared regularly. Pastor Ambris was not afraid to die; for he said he was only on a vacation here and he was not going to die, so when he goes home we were not to sing any funeral songs. In fact he saw death as transfer from this earthly life to be in the presence of the Lord. His desire to be distinguished, even in death caused him to request that “I do not want a dead funeral, I want a true Home Going celebration.â Pastor Ambris also requested a ban on the song “it is well with my soulâ at his funeral since it was a norm to sing it at every unsaved funeral whose souls he thought were not well with the Lord. Pastor Davidson Ebenezer Ambris will be dearly missed, but fondly remembered as a true Servant of the Lord, a friend, community member, and church brother. His soul will rest in peace!